Honeys Heart: Crab Cakes, Grapefruit Drop, Mac n'Cheese! 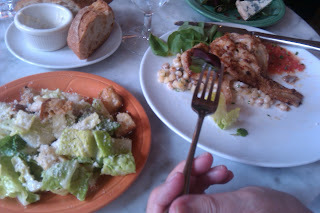 Katie and I have blogged about the Heathman's Marble Bar happy hour before, but I recently returned with my fam and was reminded of just how delicious this happy hour really is. Offering 50% off their normally priced bar menu for small plates the food is diverse and fairly priced for it's exceptional quality. The drinks are what really rack up the bill. With no discounted cocktails, each one of these delicious Grapefruit Drops adds at least another $8 to your total. I also suggest you try a Lemon Drop, and if you're feeling adventurous try a refreshing pineapple summer cocktail made with jalepeno vodka...it was SPICY. I would recommend asking for half jalepeno, half regular vodka to tone down the heat. You really can't go wrong with this menu and there is something for everyone. 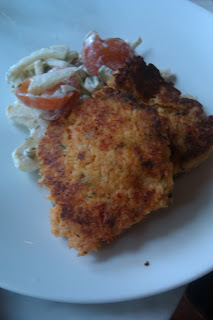 The beet salad with spinach and blue cheese was awesome and the crab cakes are a must! 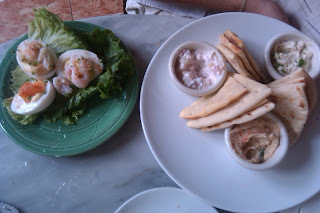 Adam ordered the deviled eggs which come with three of different varieties and the pita with three dips. More snack-ish options and both exceptional for such seemingly simple items. My grandparents and mom all ordered the razor clams and all were very pleased. If you are a razor clam fan these were perfectly cooked! 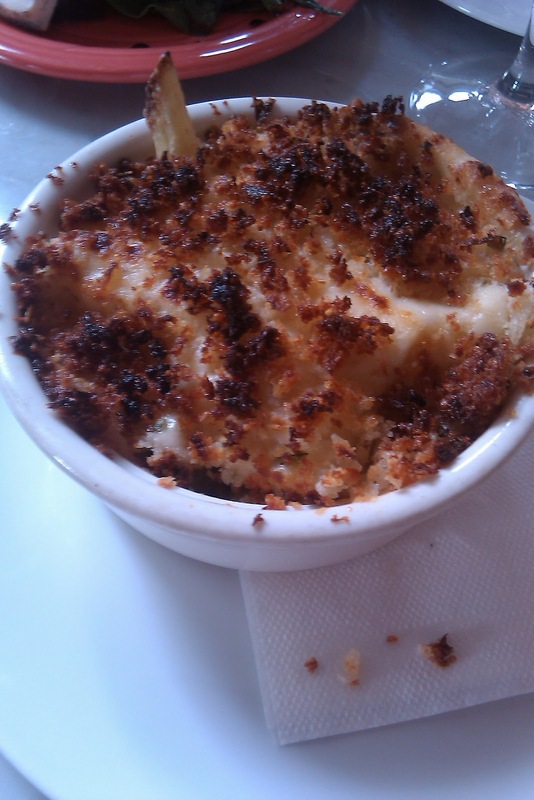 I know, I know, of course I ordered the Mac n'Cheese. I'm glad I did though. The penne pasta was covered in creamy, cheesy, goodness on the inside and the crispy top supplied a little crunch. I loved it! 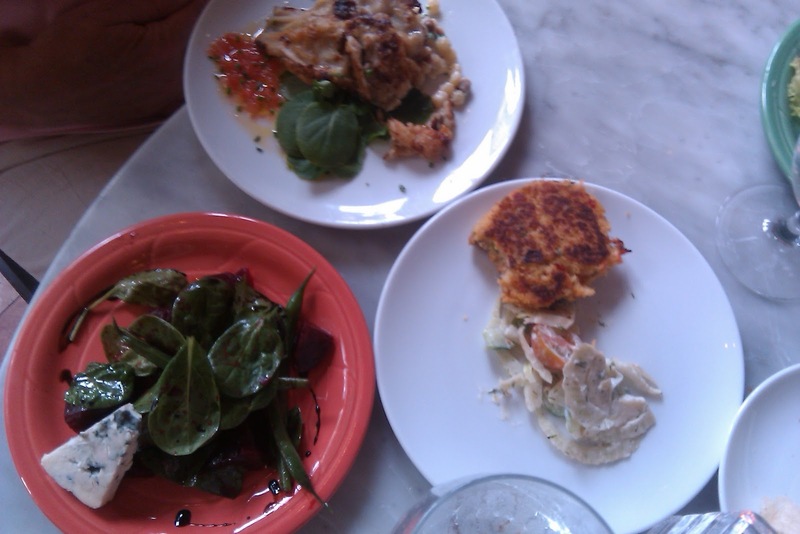 All the food is available in regular or small portions and I have never been disappointed by the quality of their food or drinks. 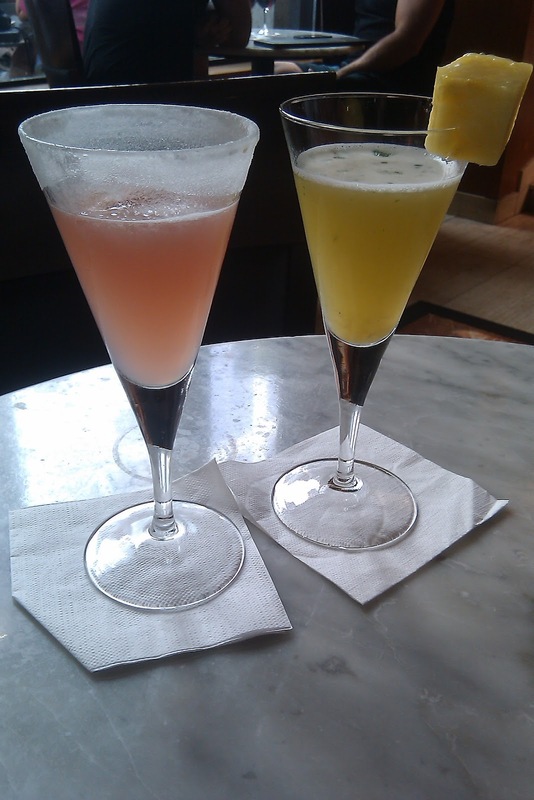 It's not an everyday afforadable happy hour for everyone, but it's worth the splurge every so often. The Heathman also tends to be a hot spot for celebrities to stay when they're in Portland so I recommend doing a little people watching or seeing if you can get any hot gossip from the bartender!